Finding it hard to deal with specific emotions such as anger, sadness or fear? 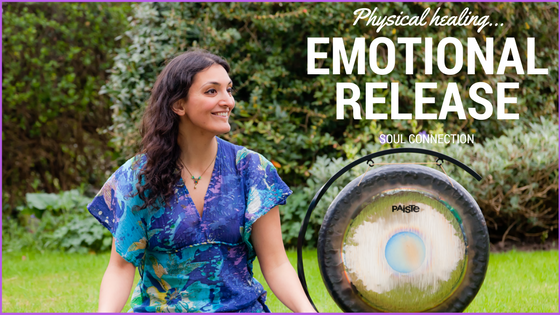 Want to experience emotional healing? Looking for a path to more self-worth? Struggling with healing a physical condition or finding relief from pain? Getting stuck in unhelpful and addictive patterns, either physical or mental? Find yourself using addictive substances (this includes caffeine and alcohol!) to balance your energy? 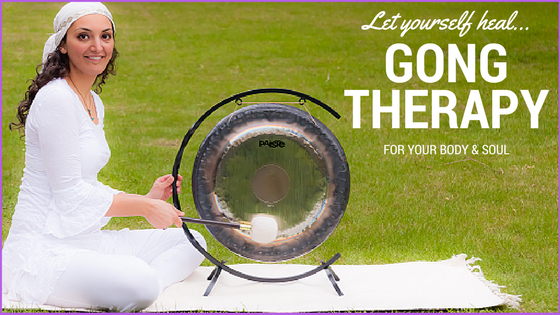 Gong therapy is a healing tool to support your journey through these challenges. Healing is the restoration of natural balance and flow or energy in a physical, mental, emotional and spiritual sense. Health is the natural state for all of us, so when our energy is out of balance or lacking we are not in a state of good health. In yoga we call this energy / life force – prana. The gong has been used for hundreds of years with yogic techniques for healing purposes and to revitalise our energy balance / prana. The sound current and vibration and balance the nervous and glandular systems and facilitate emotional healing. For those seeking a more spiritual connection it can also help us detach from the pressure of the mind and connect to our intuition. Gong playing: Session designed to adjust the balance of your energy and mind to suit your goal. May involve lying down or sitting up depending on the goal of the session. Duration: 7 – 30 minutes as required. Integration: Peace and relaxation followed by gentle discussion around your experience to allow you to integration and process it. Close & follow up: Depending on your specific needs you may only need or be called to one gong healing session or you may like to follow up and work more deeply or on a different topic in the future. The gong healing session was perfect. I have been experiencing pain in my knees for some time and I could feel the energy flowing through my body after this support, so I hope it will support the healing process. Once you’ve made payment you’ll be redirected to my schedule to book your 60 minute session.